Please select a size. 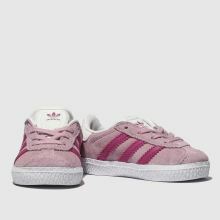 UK 3 - In StockUK 5 - Low StockUK 8 - Low StockUK 9 - Low Stockview larger sizes Please select a size. 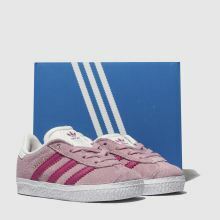 Miniature street-style is made easy with adidas as they deliver this downsized Gazelle for your little fashionista. 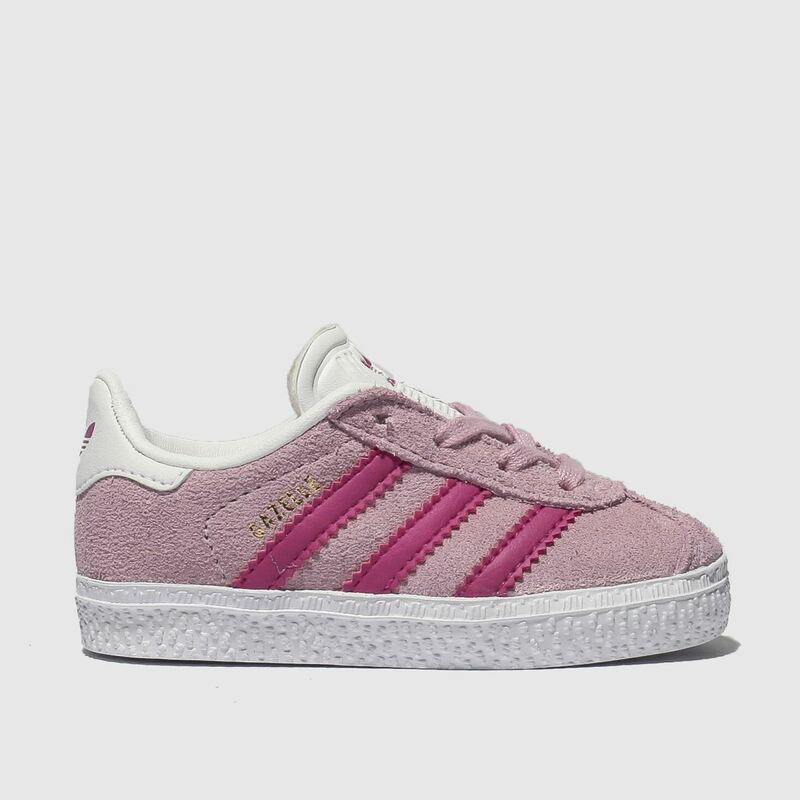 The sweet kids' trainer boasts a playful pale pink suede upper while tonal hot pink 3-Stripes and signature gold foil branding completes.